If you need something to read on a cold January evening or weekend, why no consider a mystery set in Victorian England? 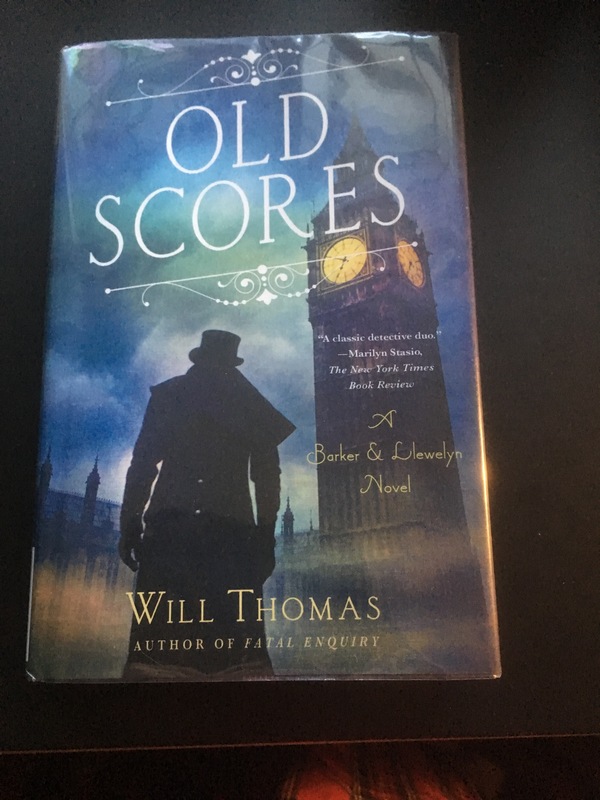 Old Scores was the first mystery I read by Will Thomas. As well as providing good entertainment, I learned something about Japan’s relationship with both England and America in the nineteenth century. Some additional reading on my part, sparked by the story, was enough to determine that the author’s research was thorough. The two main characters of Thomas’ mysteries are Cyrus Baker, a “private enquiry agent”, and his assistant, Thomas Llewelyn, who is the narrator of the stories. This is the ninth in the series and so those readers more familiar with these books would likely see other characters returning in this novel. The plot is tight and interesting, with enough clues for the reader to be able to puzzle out what is happening. In this mystery, the Japanese ambassador, newly arrived with his delegation, is murdered and the first suspect is Cyrus Barker himself. As part of his personal history, Barker had lived in Japan. This back story adds quite a bit of colour to the plot. Of some importance to new Thomas readers like me, I was aware that there were characters Thomas’ regular readers would know, but this did not at all detract from my enjoyment of the story.